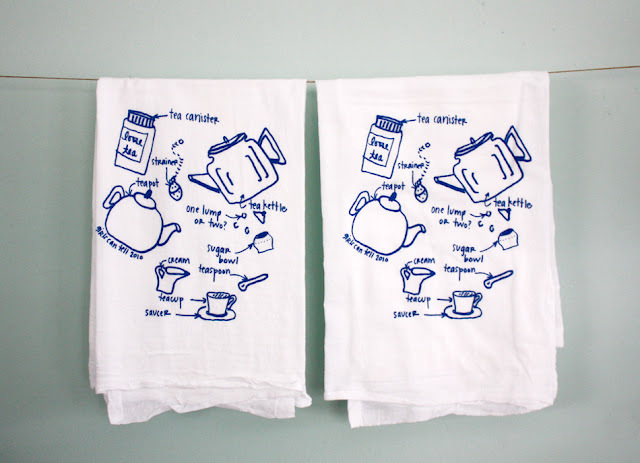 Aren't these kitchen towels adorable? My MIL just gave me a couple for my birthday, and they're already looking smart and being useful in my kitchen. They're super absorbent and machine washable - and total workhorses! I've had a couple for a year or two now, and they're still just as good as new (albeit with a couple of stains here and there - turmeric is impossible to get out!). 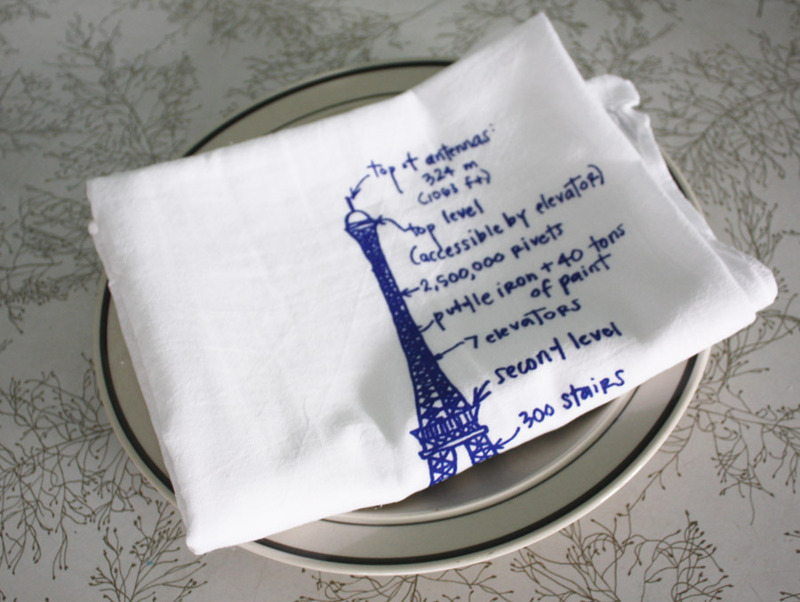 Plus, I love kitchen towels because they really help cut down the amount of paper towels we use - such a waste to use a couple of paper towels to wipe up some water, when a cloth towel will do the same job multiple times over! The Philly-based Girls Can Tell has so many cute and useful items (and responsibly sourced too!). For now I just have the towels, but their website is so tempting, I may just have to get some more lovely things soon - I see they sell their stuff in some BK stores too! 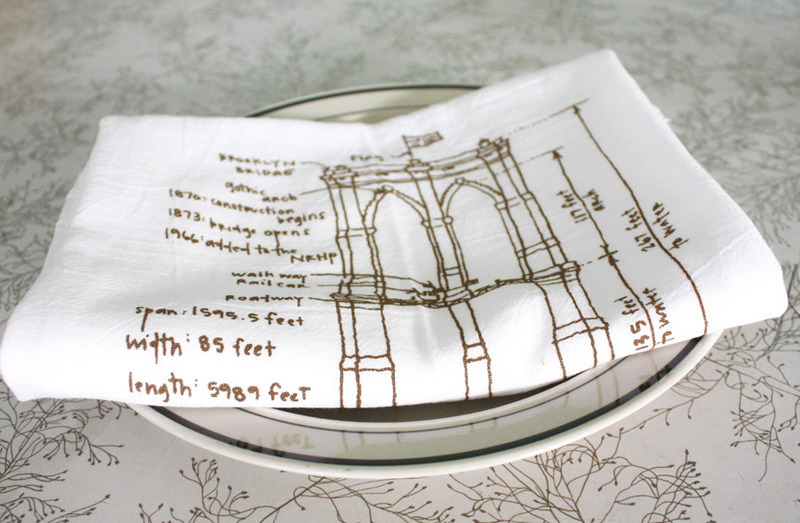 Wouldn't one of these be the perfect hostess gift for a tea party? 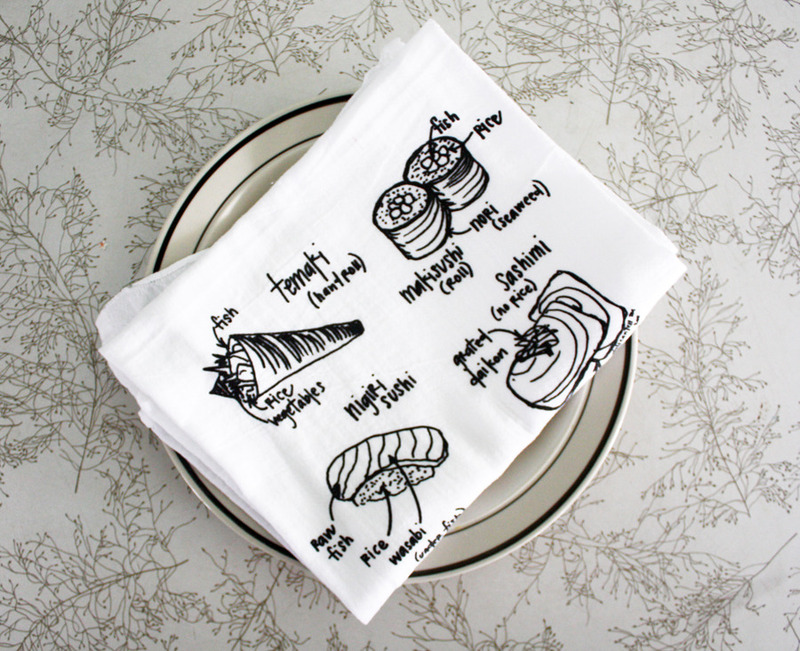 Or perhaps a stocking stuffer for a sushi lover?